I had a pretty good week. Work went fast, but I was really waiting for the weekend. All summer long, all I can think about is being outside, swimming, floating and reading. And this month has the added benefit of being the first month of Booksparks Summer Reading Challenge 2016. This is my second year of the Booksparks SRC, and I'm thrilled - I loved it last year, and this year is looking to be just as good. They sent a bonus book, One True Loves by Taylor Jenkins Reid which I read in one day. Review coming soon, but she is such an awesome writer - I've loved all of her books. In the meantime, I took a long hike by myself yesterday. When I first started off, I was nervous because the trail was empty, like Stephen King empty. Which made me a little nervous, and set my mind down the scary book path. Then a lone mountain biker came up behind me with an ice cream bell hanging from his handlebars and classical music playing out loud. This is when being an avid reader gets you in trouble, because obviously this is the set up for me to be kidnapped ala Joe Goldberg in Hidden Bodies. But the view was awesome from the top. The little shiny things at the bottom are cars. All of the sudden I feel like I am swimming in great books and I only added more this week. 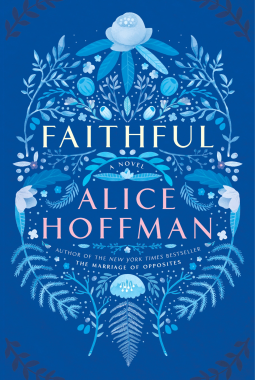 The Marriage of Opposites and The Dovekeepers comes a soul-searching story about a young woman struggling to redefine herself and the power of love, family, and fate. 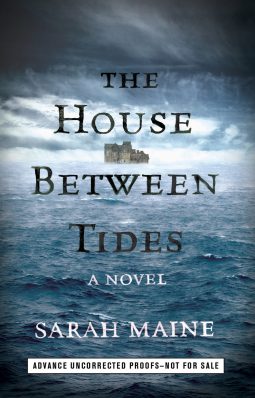 atmospheric and immersive debut novel of a woman who returns to her ancestral home in Scotland and discovers a century-old secret buried in the basement. majoring in business administration seemed like a practical and stable life path...until she tried to find a job after graduation. Desperate, Lissa finds herself working as the office/business manager for M Street Apothecary, a metaphysical store selling cards, crystals, potions, candles, and hope. When Lissa falls head over heels in love with the owner's very married trust fund manager who she works closely with, she'll need nothing short of magic to help her fall out of love. An aspiring jewelry designer, Diana Tiesman has been suffering through a difficult relationship with a charismatic man who just can't be faithful. But no matter how many times he lets her down, Diana can't get over him. So when an old friend calls her with the offer of under-the-table pay in exchange for making jewelry to sell at M Street Apothecary, it's the perfect opportunity to get away and get over him. Suddenly, Diana finds herself living in a group house and living on the cheap in one of the most expensive cities in the world, as she must decide whether she'd rather be lonely alone than lonely in love. 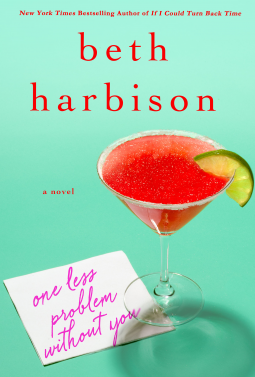 With a cast of quirky characters and Beth Harbison's trademark wit and warmth, One Less Problem Without You is sure to please Harbison's fans and garner new ones.